Average temperature: 27 Celsius (80F). One of the most famous approaches world wide. A heaven for plane spotters. 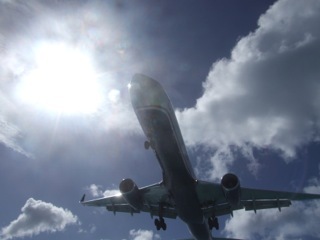 Arriving and departing airplanes is something spectacular to witness in St. Maarten. 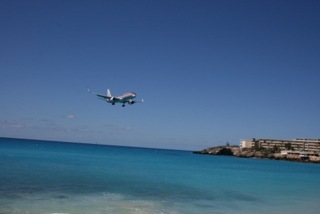 Maho Beach is the beach where it all happens. After a 25 minute drive from the port (Philipsburg), you will drive past the airport and arrive at a relatively small sandy beach located at the end of the runway. 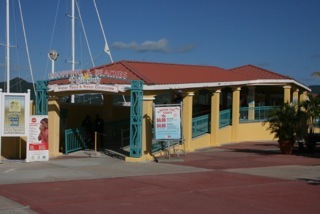 Facing the ocean, on the left side you will see Sunset Bar. On the surfboard stuck in the ground you will see the timetable for today's flights. Being a relatively small island, only 5-8 decent size aircrafts arrive/depart each day. If you're lucky you can witness a Boeing 747 or Airbus A330/340. 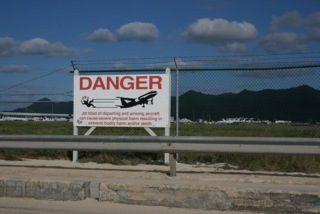 These aircrafts touch down at SXM a couple of times a week, usually late afternoon. Departing airplanes give full thrust to ensure proper take-off. Planes usually take off towards the mountain and turn right. 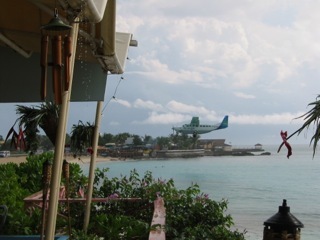 This means that at departure, the back of the plane is towards the beach. The thurst can be very forcefull and strong enough to blow people and objects into the water. 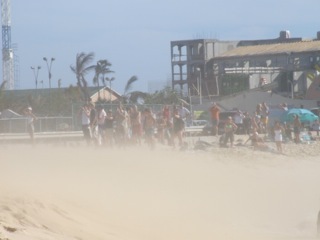 The force at which the sands hits you also hurts. Please take the sign on the fence (see image) very serious. The most spectacular airplanes to look out for are KLM (747 or MD11), AirFrance (747 or A340), AirBerlin (A330), American Airlines (757 or 767), Corsair (747). Throughout the day there are frequent arrival and departures of smaller aircrafts connecting the nearby islands of St. Barths, Tortola, Antigua, St. Thomas, San Juan. 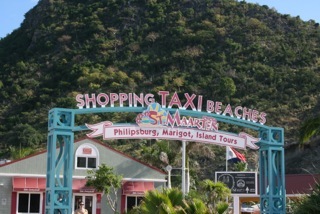 If you decide to go to Maho Beach, do make good arrangements with your taxi driver for pick up. 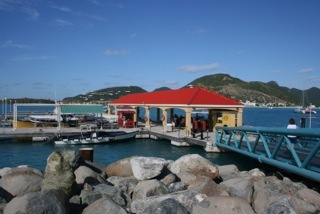 Even in St. Maarten there is rush hour so do not get stuck in traffic and miss your ship. Reserve plenty of time to get back to the ship. 3. Great Bay: The beach you see from the ship. 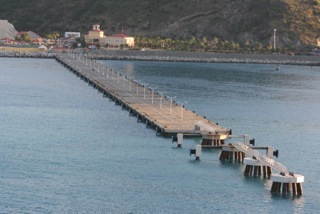 This will be the drop-off point if you take the water taxi from ship to Philipsburg. A nice sandy beach but can be crowded when many ships are in port. 6. 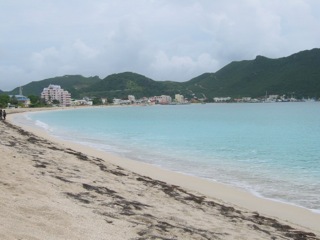 Little Bay: This beach is located just to the west of of Great Bay (Philipsburg). 7. Maho Beach: The beach at the end of the runway (Princess Juliana Airport). Amazing spot for plane spotters. Also nice relaxing beach, usually not too busy, especially in the morning hours. 2 bars on the beach offer plenty of soothing drinks. 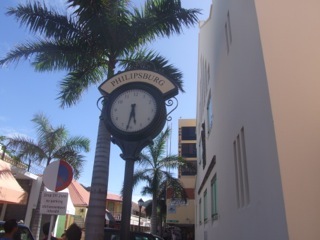 Approx 25 minute drive from Philipsburg. (click here for more information). 8. 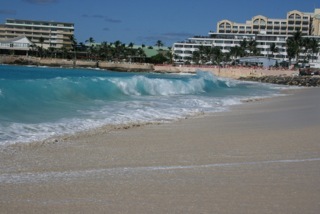 Mullet Beach: A small beach on the west side of the island, near Maho Beach. 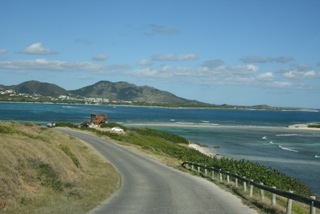 This beach is connected to Cupecoy Beach. 1. Anse Marcel: the most nothern beach tucked away in a small cove. One of the most photogenic beaches of the island. 2. 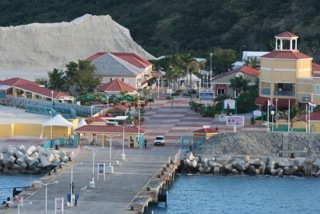 Baie Rouge: white sandy beach where the most upscale villas are located. Most exclusive beach on the island with plenty bars to buy that special cocktail. 5. 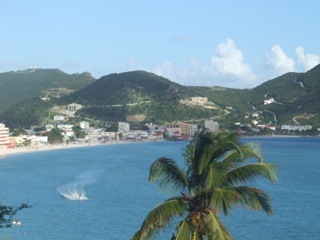 Happy Bay: considered as one of St. Maarten's nicest beach, this beach has no road leading to this secluded spot. The closest road is about a 15 minute walk. 6. Nettle Bay Beach: This is a relatively calm beach with few waves, ideal for watersports. Close to Marigot, the capital op the French side. 7. 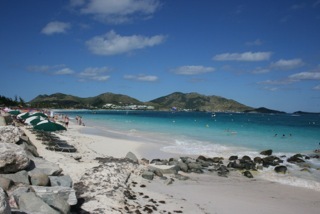 Orient Beach: probably the most popular beach on the French side of St. Maarten. 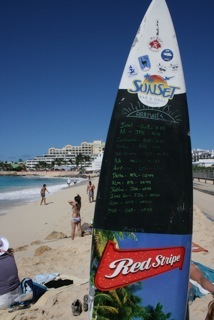 A long stretch of sandy beach with a wide variety of bars, restaurants and an great choice of water sport activities. Please note that this beach has a policy: clothing optional. © Copyrights CruiseLegend 2016. All rights reserved.